And to think that pre-season testing this year was supposed to be cryptic. Plenty of stories have come out of it: Mercedes's strides; Ferrari's operating beneath the radar; Red Bull's woe. But ranking with any or all of these is that Williams appears to be back. Right back among the leaders. A place it knows well. Yes, we've said this sort of thing at the outset of a few recent seasons; cynics might say that it's an annual event. Indeed you just have to rewind 12 months to find all in the team gushing about the grand potential of the new FW35, potential that evaporated when it came into contact with air at Melbourne for round one. The likes of Adam Parr, Toto Wolff, Mark Gillan and Mike Coughlan were supposed to herald the team's long-awaited up turn. All have since left, for varying reasons. And despite the odd false dawn, most notably Pastor Maldonado's victory in Barcelona in 2012, last year, with just five points claimed and sitting a long way off the back of the midfield pack, it seemed that the giant was no nearer awaking from its slumber that stretches all the way back to 2004. But, really, this time it seems to be different. Everything seems to be in place. The accession of Claire Williams to Deputy Team Principal, and thus plug the Parr/Wolff shaped gap in the management structure, was one for the romanticists given she is Sir Frank's daughter. But the flipside was that - particularly given that the late and recently-departed Lady Virginia Williams had reckoned that Claire should be Frank's long term successor - there was a risk the appointment was based more on emotion than logic. That may yet prove to be the case, but it has to be said that Claire's made a very good start. First off there's been prolific recruitment of new technical staff (Coughlan exited last season). Pat Symonds given what happened in Singapore in 2008 remains a controversial figure but neither his skills nor his track record - championships delivered with Michael Schumacher and Fernando Alonso - can be argued with, and he's in as Chief Technical Officer. In too have come the highly-rated Rod Nelson as well as Dave Wheater from Lotus; Shaun Whitehead from Red Bull, and Rob Smedley from Ferrari as Head of Vehicle Performance (regrettably not as Felipe Massa's race engineer for those who wanted his legendary radio transitions with Massa continued) among others. The team looks rather in the money too. Pastor Maldonado - the relationship rather soured - left taking his PDVSA backing with him, but the team secured a pay off from the oil company that means it's not lost financially out in the immediate term. Petrobras, probably aided by Felipe Massa coming in as driver, has arrived as a sponsor. But best of all the team has secured title sponsorship from Martini, an iconic presence in F1 and motorsport heritage more widely, in what Zak Brown who brokered it described as a 'multi-million, multi-year' deal. Not for nothing, Sir Frank Williams says that he now has a 'very generous budget'. It was a coup too, not only was it the first new title sponsor in F1 - not related to the team's ownership or a driver - in a while, Williams also reportedly beat off competition from Ferrari and McLaren to seal the deal. And this has had the auxiliary benefit of allowing Williams - perhaps uniquely outside of the teams at the very top - to sign the best two drivers available rather than have to inspect how much cash is in their respective briefcases. The team as a result has a strong pairing, and a blend of youth and experience, in Felipe Massa and Valtteri Bottas. And almost by accident Williams has got itself the best engine. It came about as Red Bull thought it beneficial for Toro Rosso to have a Renault engine like the A team, Renault didn't want to supply five squads, and Williams was the one without a seat when the music stopped, thus forcing the team into Mercedes's arms. But boy did Williams' numbers come in on this one if testing is anything to go by. Best of all the FW36 for this season appears almost the best of the bunch on pace, and probably the best of the bunch on reliability. From Jerez the machine has impressed in how it handles, with a particularly responsive front end. And in Bahrain not only did Felipe Massa set the best single lap time of everyone, Valtteri Bottas's race simulation earlier in the test bore comparison even with the standard-bearer Mercedes. It suggests that both in qualifying and the race the Merc will have a serious rival in Melbourne. And it may even be behind on reliability. Not until half an hour of testing remained did a Williams cause its first red flag from a breakdown; the solitary red flag is the fewest of all teams. It also completed a full 4,100km with a single power unit without having to change internal components. Its cooling figures - remarkably given it's not the works team - have been the best of all the Merc runners reportedly. The team gave the impression of being furthest on in its testing programme (Symonds commented that the team completed everything it planned to do - Williams might be unique in this), even devoting a morning of the Bahrain first test to practising pitstops. A reliable car and a team that is well-drilled operationally is exactly what we have come to expect from one headed by Pat Symonds. Perhaps best of all - and unlike McLaren - the evidence is that the team has if anything got more competitive as testing has gone on; its lap times more potent; its reliability more impressive. Further ahead though there is the question of whether Williams can keep up with the in-season development of the likes of Mercedes, Ferrari and a resurgent Red Bull. The Grove team's budget is strong but it's still not in the league of those of the three mentioned. But by comparison with last season it is rather a nice problem to have. Before the start of pre-season testing few were talking much about Williams. After the opening test in Jerez the team was being spoken of as dark horses. After the two Bahrain get-togethers the consensus was that if Williams doesn't come away from Melbourne with a podium finish, at least, then it would likely be something of a disappointment. 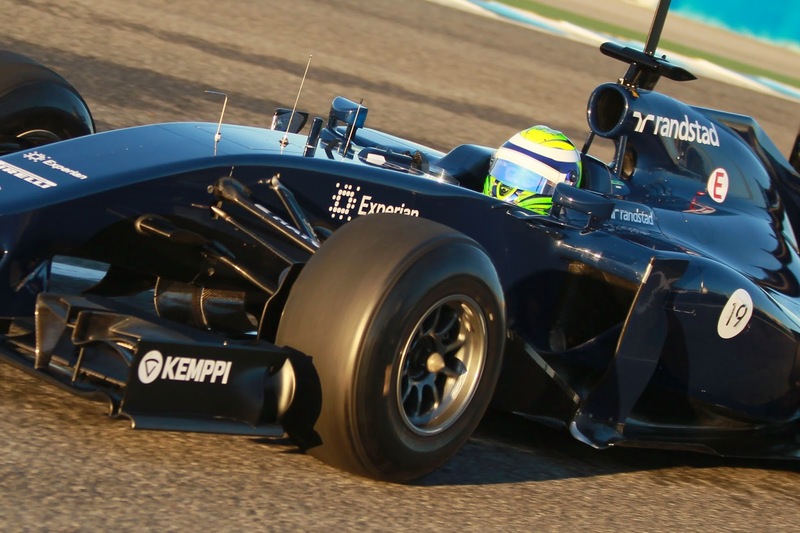 The latter-day woes of Felipe Massa are one of the great mysteries of modern F1. We know that in ideal circumstances he can be devastating: as seen most notably in late 2008 - such as his totemic pole lap in Singapore - when he oh-so nearly scaled the high peak of the world drivers' championship. But that was all a long time ago, and it seems that for most of the meantime he's barely produced form even close to that again. Everyone has their opinion on what explains it all: perhaps his head injuries sustained in Hungary in 2009 was the watershed; perhaps it was the recent environment at Ferrari wherein he clearly was 'the other driver' (with its many implications), and perhaps related to this we know that Massa's form seems particularly vulnerable to confidence. Whatever was the case, while there have been false dawns, while the pace has been shown on occasion, it's not been there with consistency. Some races you wouldn't know he was there; other races he'd be competitive but his pace would taper off unfathomably for a spell; elsewhere his weekends would be spoiled by spins or accidents. And on the bottom line the chasm between his results and that of his team mate Fernando Alonso cannot be denied. It continued that way last year. While it started positively, with him having a run of out-qualifying Alonso and a few spoke of him 'getting under his skin', it rather unravelled quickly and a series of mid-year accidents and other mistakes - starting at Monaco wherein he appeared to repeat an identical crash in the race as one in practice that forced him to sit out qualifying - resulted eventually in his being dropped for 2014. He did display something of the freedom of the damned after that and had a mini-upturn, though the vices already mentioned were still sometimes on show. And perhaps in a sense the Williams opportunity for this year was fortunate, in that he - unusually for modern F1 - found a team further down prepared to select on the basis of talent and experience rather than money, and Massa was the best available to them. But on the evidence of pre-season testing Massa has landed squarely on his feet. It may well prove that Williams was similarly fortunate: after all, beware a driver with a good car and a point to prove. 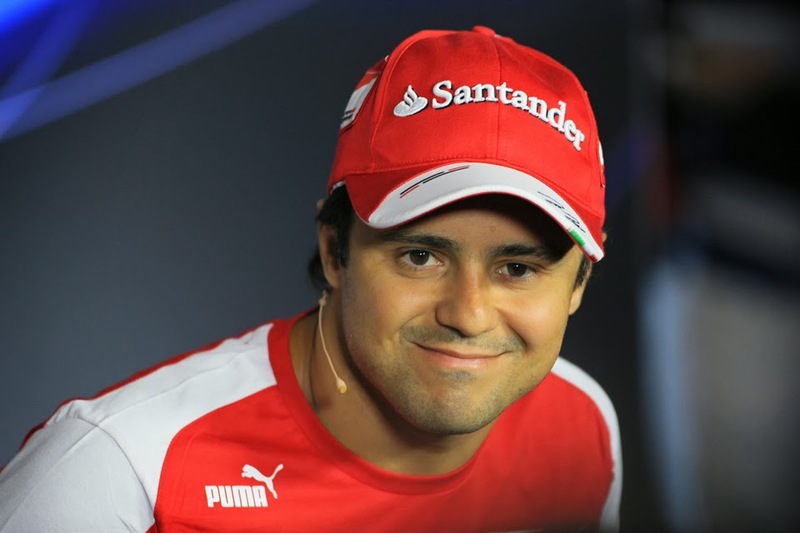 This season should answer a lot of the questions we have about Felipe Massa. 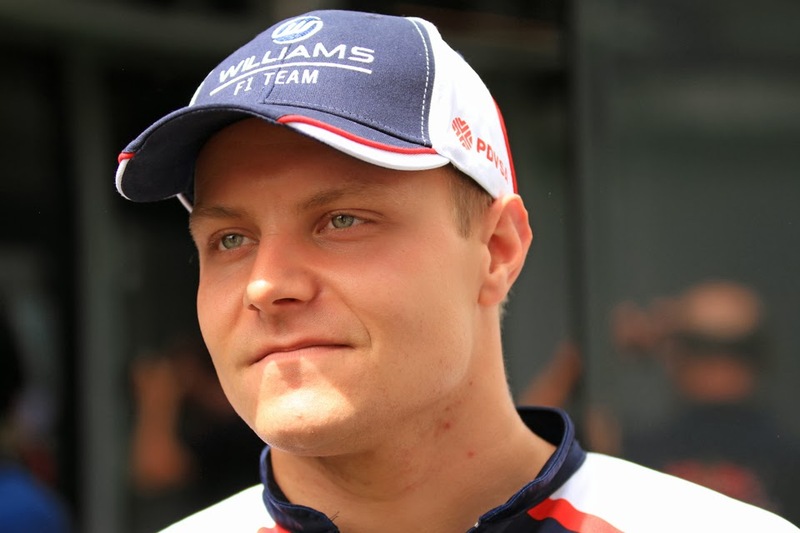 Valtteri Bottas arrived in F1 last year with a big reputation, and not even a year with the struggling FW35 dragged it down. Neither did a paucity of results compared with what was anticipated by both driver and team at the outset. The Williams team - as well as those watching on - were impressed by Bottas's resolute and constructive attitude in the face of the technical woes (and it was held in notable contrast with that of his team mate). And, as we tend to look in such situations for our guide, Bottas showed raw pace - over a single lap at least - in comparison with his intra-team yardstick of Pastor Maldonado, out-qualifying him by 11 to 8 (and for all of Pastor's flaws if he's anything he's quick). Bottas displayed assuredness in the races and in bringing the car home too: he only failed to finish twice neither of which were his fault, and what mistakes there were from him were minor. Perhaps the only note of concern from last season was that Maldonado tended to be the better race day performer: when both made it to the end the Venezuelan finished ahead nine times to Bottas's five. It's not clear what explains this but it may be something for Bottas to keep an eye on. All the while he displayed a focus and level-head that for many was redolent of Mika Hakkinen; his ability to drive at the maximum like flicking a switch when grip levels are uncertain (seen most readily in Canada's qualifying) put some in mind of Sebastian Vettel. Bottas's campaign was a determined and consistent effort, containing evidence that he ticks most or all of the boxes. And now it appears for 2014 that he has a car in which he can prove as much.